Tennis is as much a mental game as it is physical. I believe the former dominates over the latter at the highest level of competition.At this level, every player you face off against will have the desired level of physical strength and endurance. They have practiced every shot their competitors have practiced and spent a long time on court polishing different aspects of their game.Despite this, there is always only one winner. So what is it that separates competitors? What is it that awards one with victory and the other with defeat? The answer is mental toughness.When we analyze mental toughness in detail, we realize this aspect of the game cannot be taught in a few days or years. It is a quality that must be inculcated at the very beginning of one's training. It is something that must be ushered into a player's mind while he is still young.This means a player’s upbringing and his/her initial coaches play a key role in developing this major quality. Statistically speaking, there are a few countries that have a significant number of players in the top 100.At the moment, Spain has twelve, France has ten, the U.S.A. has eight and Argentina has five. The top players in Spain have played some incredible tennis, like Rafael Nadal and David Ferrer. Argentina and U.S.A. have good players but they are just not good enough.If the focus is shifted to France, we see immense talent. The country boasts talent of the likes of Gilles Simon, Richard Gasquet, Gael Monfils, Jo-Wilfried Tsonga and Jeremy Chardy. These are all match winners. But they are not great players in the rankings, despite having the talent to be so. What is that missing ingredient? It cannot be the place they come from, because France has produced some amazing players like Suzanne Lenglen, Amelie Mauresmo and many more.So why is it that these players in top 20 are not able to enter the elite top 5? Let us find out. 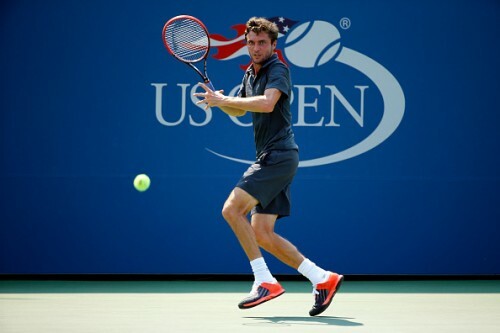 Gilles Simon, ranked highest among his compatriots at number 11, is a good player but not as great as he could be. His stroke making is pleasant. He can vary the pace on the ball very effectively. His first serve speed is above average, in the range of 100mph. The 30-year-old has 12 career singles titles to his name, and an all-time-highest ranking of World No. 6. Simon has reached the quarter finals of the Australian Open and the Wimbledon. He has played 8 US Opens so far, with this year his 9th. His best performance at the tournament has been to reach the 4th round, which he did in 2011 and 2014. This year Simon is the number 11 seed at the U.S. open. These facts reveal that Simon is a good player. However, one key attribute that Simon lacks is mental toughness. His Grand Slam results suggest nothing different. Despite having the talent, he has never reached the semi-finals stage in any major. He is certainly the best French player at the moment, but it will take a huge transformation for him to be the best in the world. If winners were decided on the basis of entertainment in tennis, Gael Monfils would win every single time. But the criteria are different, as is the winner. 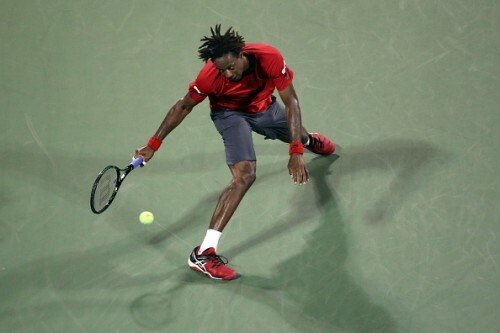 Monfils is one the best athletes out there. He can hit almost every shot in the book and even invent shots of his own. The only factor keeping him low in the rankings is his inconsistency. He might play an incredible shot and win the point, but give away the very next point on a double-fault. Consistency requires focus, discipline and mental strength. Another key factor is self-awareness. A player must be aware of his capabilities and limitations. Monfils, I believe, needs to be a little more self-aware. Monfils is seeded number 16 at the last Grand Slam of this calendar year. He has reached the quarter-finals here at Flushing Meadows on a couple of occassions. The U.S. Open is the only Grand Slam where Monfils was not crowned the juniors champion. Can this extra motivation to win bring some surprising results in the tennis world? Richard Gasquet has been in the game for quite some time now, but is still is not considered an impact player. This year, he surprised his fans by defeating Swiss Stanislas Wawrinka in quarters of Wimbledon, but was totally outclassed by World Number 1 Djokovic in the semi-finals. I have seen him make backhand errors at key situations and miss first serve on break points, which indicates he breaks under pressure. Gasquet plays with a focus on not losing, rather than with a mindset of winning. He needs a change in his outlook on a match. He needs more self-belief. He must feel is well able. He should step onto the court with a goal in front of him. Richard needs change. Can he bring about this change at the U.S. open this year ? He is a former semi-finalist at the tournament, and defeated defending U.S. open champion Marin Cilic this year at Cincinnati in straight sets. 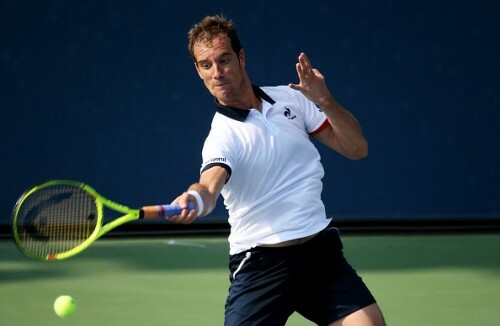 Gasquet has progressed to the next round of the Open following a retirement by his Round 1 competitor Thanasi Kokkinakis of Australia, who was leading him. Teenager Kokkinakis suffered severe cramps in the heat and has bowed out. Jeremy Chardy, currently ranked number 27 in the world, has quite clearly underperformed. That may seem like a bold statement, but statistics support it. Chardy won the Wimbledon juniors title in 2005, finishing as the runner-up at the U.S. open the same year. He has also reached the Roland Garros juniors final in his dream year of 2005. These are three big moments on three different surfaces. This clearly indicates Chardy had immense talent as a teenager, but once he entered the adult circuit, the mental aspect of the game came into play. This is the biggest test for every player, and it appears Chardy was not equipped for this. If he wants to do better and break into top 5, he needs to work on his mental game relentlessly. 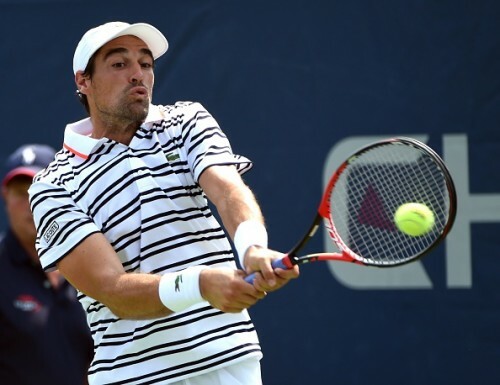 Chardy has a poor record at the Grand Slam and Masters 1000 series level, but he performed well at the Rogers Cup last month in Canada to reach the semi-finals. This might well provide him with some confidence to do better in the US Open this year. He did not progress beyond the semis last year, but has looked strong in this iteration, beating both his round 1 competitor Ryan Shane of the USA and Round 2 rival Martin Klizan of Slovakia. Jo-Wilfried Tsonga, the tall Frenchman who once had the entire French crowd cheering his name, is slowly fading away. His game is declining, his strength is deteriorating. The problem is not in his strokes, but with what his game is built on. It appears to be built solely on physical strength. Physical strength alone cannot stand the test of time, and hence a game built entirely on this will decline. The only ray of hope for the Frenchman is his experience. If he can use it to get his game together, then with focus and determination, he can rise back in the rankings. The U.S. open is the only Grand slam where the big Frenchman has not reached the semi-final stage. It must not be about the surface, because Tsonga finished as the runner-up at the Australian Open, a tournament played on hard courts, in 2008. It seems probable that by this stage of the season, Tsonga’s game sags because of continual physical and mental strain all year. 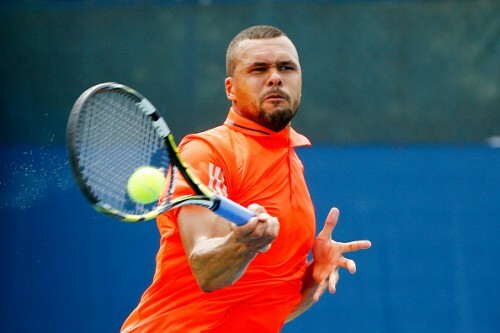 Can Tsonga come back strong this year, is the question. He has defeated his first round opponent Jarkko Nieminen of Finland in straight sets, 6-3, 6-1, 6-1, and will play Spaniard Marcel Granollers Pujol tonight.